Indiana and the surrounding Chicago region. Thank you for considering Catalyst Productions Professional DJs as your event entertainment. We hope to work with you to make your event a success. Celebrating 25 years of professional service in the entertainment industry, serving Northwest Indiana, Chicagoland, and Michiana. We are dedicated to providing you with the specific services that you need to make your event a success. We know that every event is special, and work with you to make your perfect day a reality. With any service, Catalyst Productions guarantees one of our talented performers who is on-time, courteous, and professional. 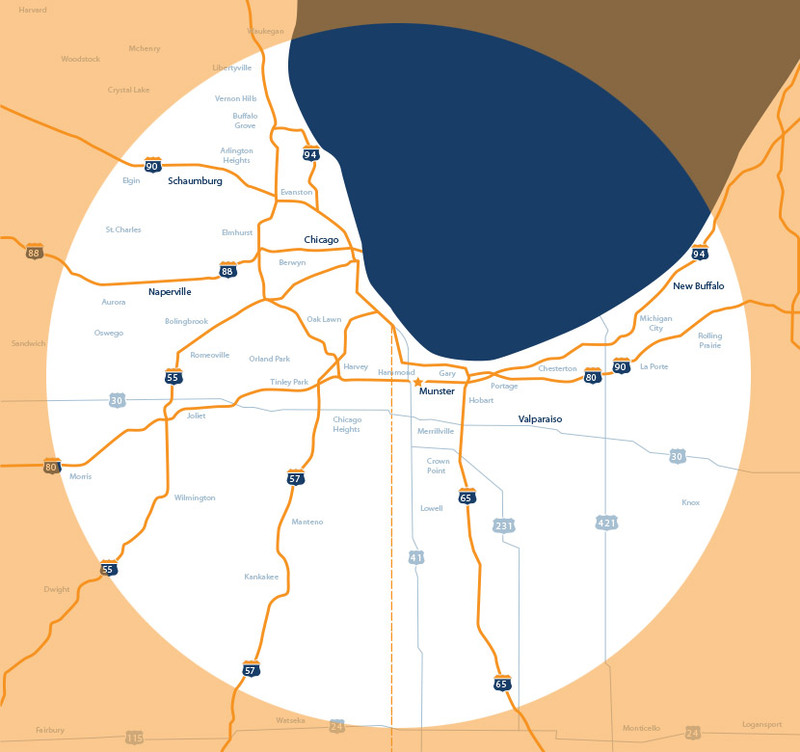 View our DJ service areas in Northwest Indiana and the surrounding Chicago region. Thank you for your awesome services on our special day."